A unique bathroom tile design for a bathroom renovation or a new bathroom will make your bathroom stand out. 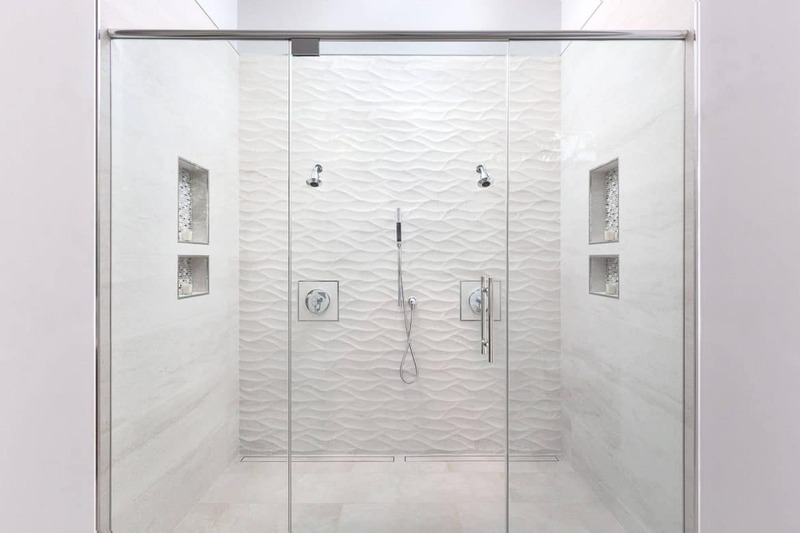 In this “simple guide”, I’m going to give you Bathroom Tile Ideas to help you design your bathroom floor, shower, or your walls to enhance the overall appearance of your bathroom as well as protect the walls and floors from water damage. And if you think that this is nothing but a time-consuming project, think again. It is relatively easy to create an excellent tile design using tried and true methods and necessary materials. Just follow these easy tips to get it done. If you are renovating an old bathroom, then this is the best time to create a new tile design on your bathroom floor, wall, or shower. Every great project starts with a great plan and for this project; you need to plan what you want your design to become thoroughly. First, you will need to choose your tile design, tile material, color scheme, and style. Then you will also need applicators and tools to set and finish the tiles. Tile is the most popular material used in constructing bathrooms, so deciding on the right style is a great way to make your bathroom look great. Unfortunately, there are so many bathroom tile designs when starting your tile search, that it can be painfully overwhelming. A great tip is to buy samples of all the tiles you like, take them home and see how they look, then return the ones you don’t want. What kind of Bathroom Tile do you need? 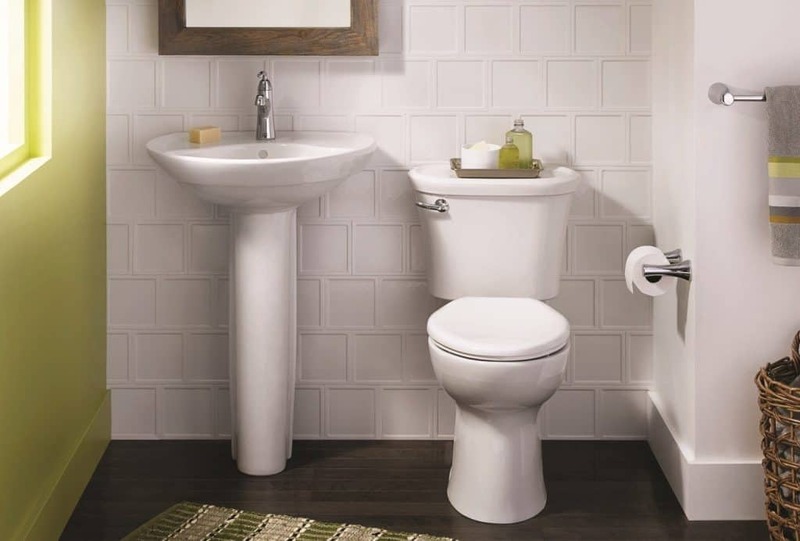 First, decide what areas of the bathroom you are going to tile. Are you going to do your bathroom floor, bathroom walls, or shower? Choosing your tile design can vary depending on where you will want it to go. For example most modern bathroom floors consist of simple 12″x 12″, 12″ x 24″, 18″ x 18″, or 24″ x 24″ square/rectangle tile. 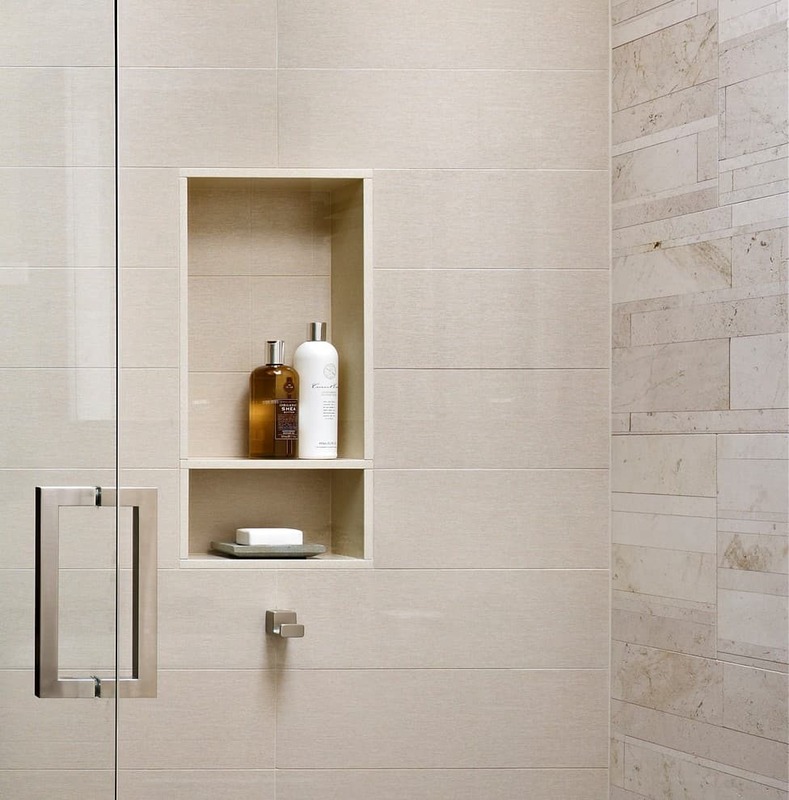 The most popular bathroom tile materials are ceramic, porcelain, marble, and glass. Ceramic is usually the cheapest tile and can be manufactured to appear in many forms and surface smoothness. 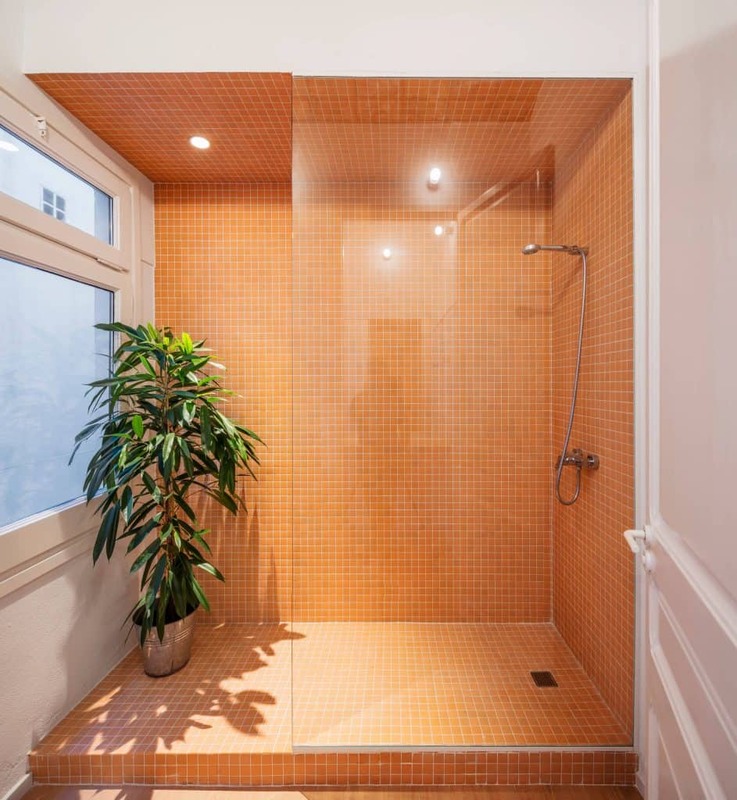 Ceramic is usually used for floors and showers since it’s waterproof. Ceramic tiles are the most versatile tiles since they are available in different colors and are very easy to use and install. 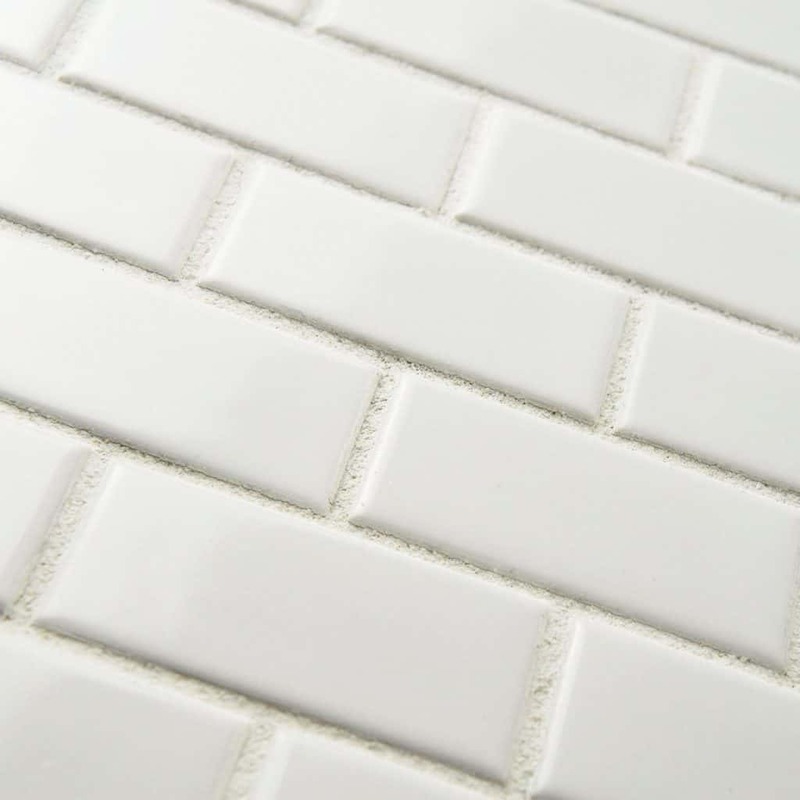 Porcelain is very similar to ceramic, but it’s usually stronger (they won’t chip as easily) and glazed to be somewhat shiny – think of trendy subway tile commonly used for bathroom wall tile or as a bathroom backsplash. Porcelain is often seen on counters, floors, and bath surrounds. Marble has an amazing look – think Rome – it’s heavy, usually very expensive, can can be hard to keep clean/stain-free due to it’s porous nature. 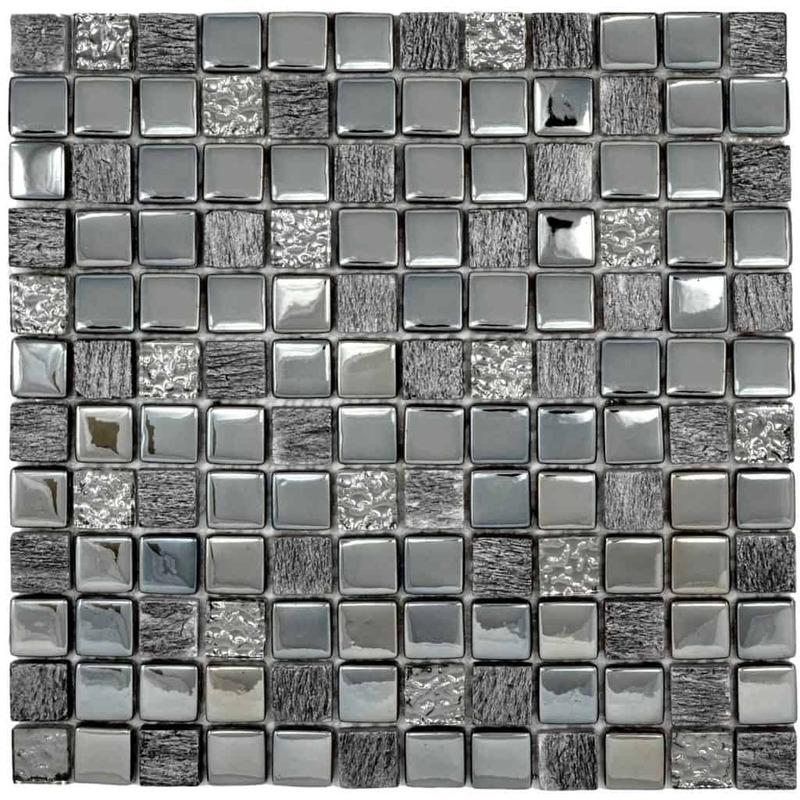 Glass tile will keep the room attractively bright and it’s low maintenance, however it can be difficult to install and expensive to buy. 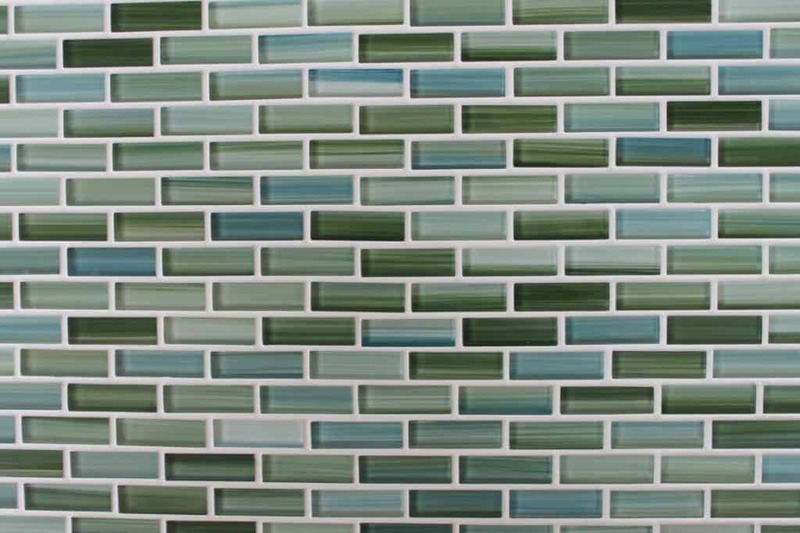 You usually see glass tiles used as a backsplash or in shower tile ideas such as as an accent tile striped across the shower wall. 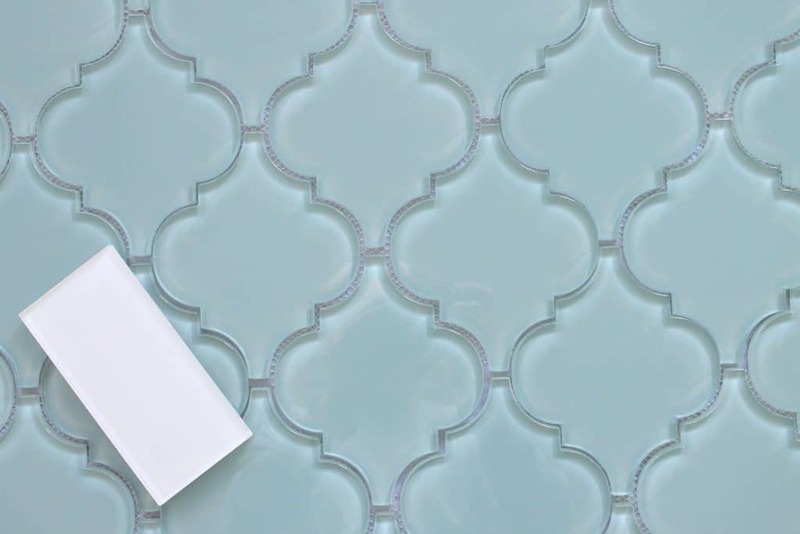 It can be challenging to match tile to your existing furniture, vanities, cabinets, counter-tops, and current colors in the room. Sometimes people want things to match precisely, while others prefer complimentary, but not exact color matches. It’s your personal preference. Unfortunately there are aren’t standard design rules to follow – it’s whatever looks good to you. 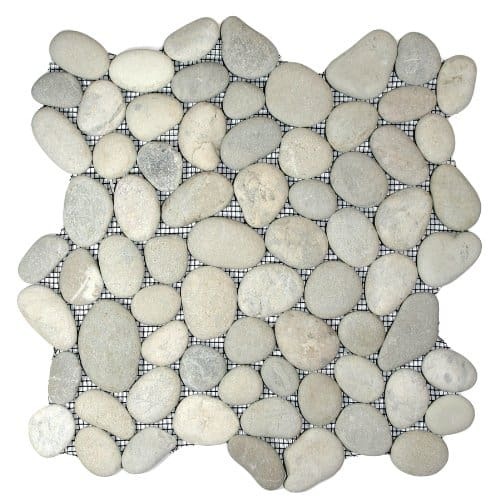 Feel free to get creative with your bathroom tile design. You can do one style of tile throughout the room, you can mix styles, or you can add accent tiles. There are no rules! To create your own bathroom tile ideas and designs, use graph paper to find out where you need to place each small tile. Keep working on your design until you are satisfied with your work. Afterward, color each square to represent each tile. You may use two to three tile colors if you wish. 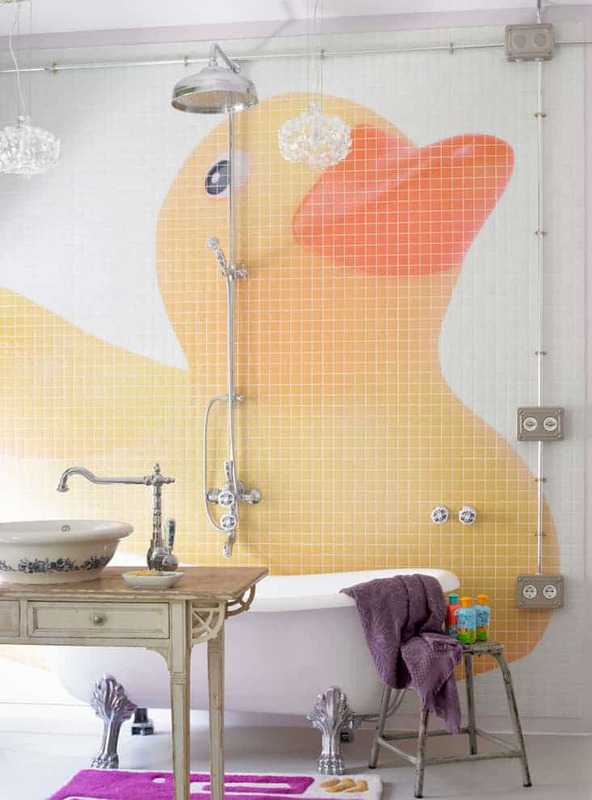 For example, in a kid’s bathroom, you can create a rubber ducky tile design by combining various colored tiles. For more Ideas for Kid’s Bathrooms, click here. When buying tiles that you need to execute your bathroom tile ideas, you must purchase more than enough tiles in case they crack. It’s better to have extra than to run out during the project. Also, you want to make sure you buy your tiles from the same lot, meaning if you buy the “same” tiles a month later, they may not be an exact color match since they are coming from a different lot. Also, it’s good to have extra for years later so you can replace broken or chipped ones. When all your materials are ready, you may now proceed. If you have existing tiles to remove, then taking them off is the next step, otherwise, you can begin preparing the walls or floor. Removing old tiles requires some muscle for the first two to three tiles, but after a while, you only need a crowbar (or a trim crowbar if you want to be more delicate) or even a flat tool like a metal scraper or even a flathead screwdriver to remove each tile. After you remove the tile, you may have some wall damage from all that crowbaring. Make sure that you level the area where you will be working on, patch any holes, and scrape off any leftover mortar/adhesive. Use a level to see if the area is okay. Be sure to get rid of all the debris and start out with a clean work area. There are a lot of ways to get the tile to stick to your surface. Mortar, SimpleMat, or Peal-and-Stick tiles. With mortar, mix it according to instructions and be sure that you have your pattern with you. Place the mortar on the area that you will be working on – it doesn’t hurt to watch a few youtube videos on how to learn the basics of tiling. If you want to do it the easy way, try SimpleMat. It’s a big roll of double-sided tape that first adheres to your wall; then you stick your tiles to it. It’s way easier and cleaner than mortar, and you will get the job done at least a day sooner. Start laying the tile from the middle going outwards. Make sure that your pattern is set and you are satisfied with the design that you have made. You will need a tile saw to cut individual pieces to fit around power receptacles, switches, and the edges of the wall. Once the mortar has set (after 24hrs) or once the titles are stuck to the SimpleMat (Zero wait time), grout your tiles. Apply grout all over the title and make sure that every space between the bathroom tiles has been thoroughly filled with grout. 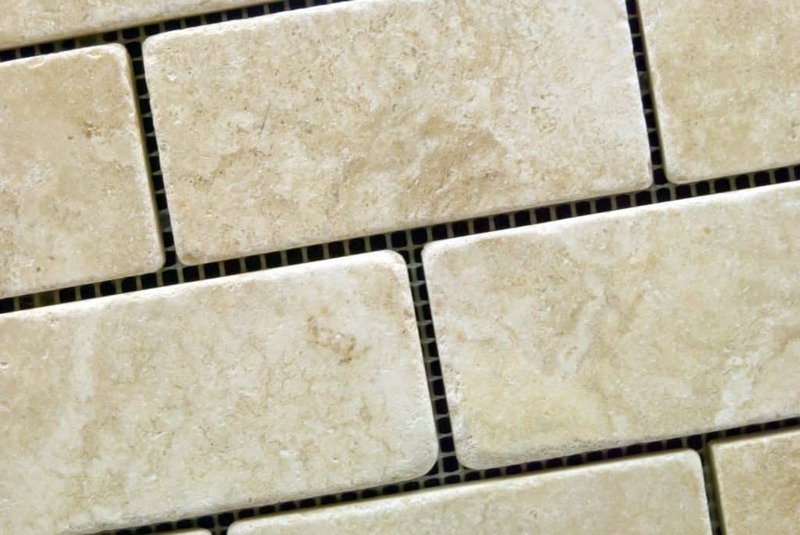 Remove excess grout by using a cloth, sponge, or brush and then allow the tile to set for at least a day or two. Now you can take photos of your newly remodeled bathroom and send them to us! 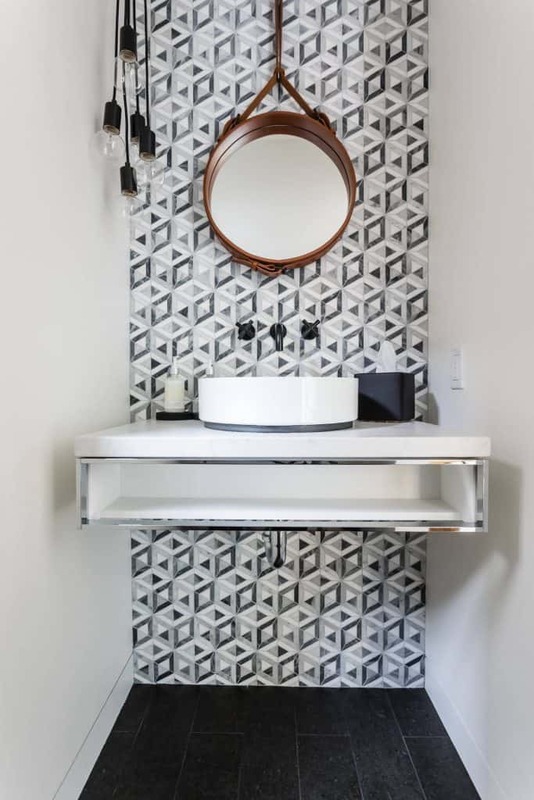 Now that you are confident in executing your own bathroom tile ideas, you can experiment with more complicated designs should you choose to take it to the next level. There are a lot of designs to choose from such as Aztec designs, Roman designs, and some very eclectic tile designs. You may also be interested in learning how to use specialized tools to cut and shape tiles. A tile cutter is a special tool to cut tiles into any shape that you want. It is a given that tiles are delicate and could get chipped or even break when cut using the wrong tools. 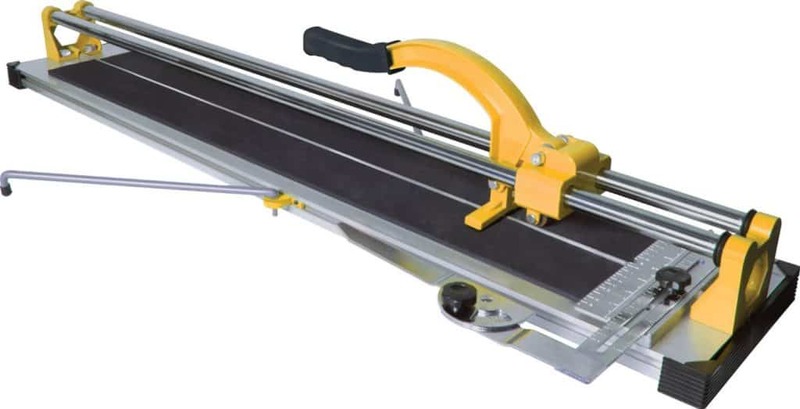 A tile cutter is like a glass cutter tool, it will cut the outer portion of the ceramic tile, and then you only need to tap it, and the tile will be cut perfectly! But be warned, a tile cutter is not always 100% perfect, you will sometimes miss and cut the tile in the wrong way, and this is why you should have more than enough tiles to work with. When creating more elaborate bathroom tile designs, you should still use the primary method of sketching your designs on graphing paper first. Afterward, color your designs to find out how many colored tiles you need. And no matter how complicated your tile design is, you should never forget to plan your materials and your entire project as well. Try Other Types of Tiles too. Using different kinds of tiles for your bathroom design is possible. 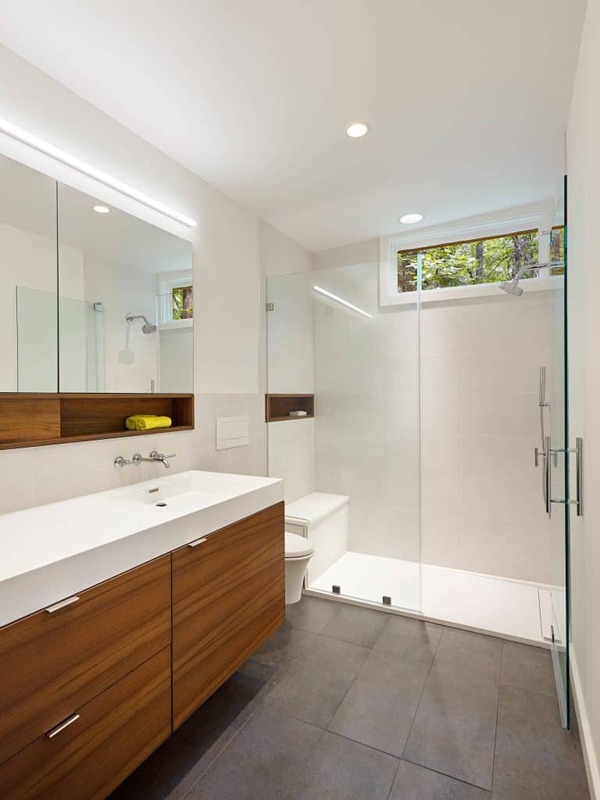 While ceramic tiles are the most popular since they are available in different colors and are the most affordable, you can explore using other kinds of bathroom tile such as natural stone, travertine, or glass tiles. You will need to plan carefully and be sure to consider the pattern, the materials that you wish to use, and your budget. Cleaning ceramic tiles is easy. You may use vinegar and water to wash or if your tiles become dirty or covered with grime, you can easily remove these stains with the use of baking soda or lemon juice. You do not need to use special cleaners anymore which could even affect the health of your family members. Ceramic tiles will stand the test of time as long as you care for it. So if you are looking for the ideal tiles to create unique bathroom tile designs, then ceramic tiles should be your choice. 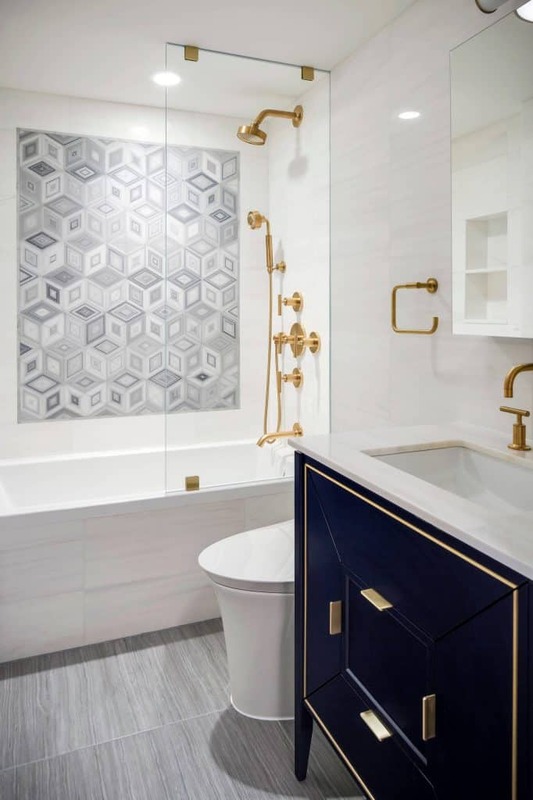 All in all, there are so many beautiful materials to use for your bathroom, but only ceramic tiles are the most efficient in creating different patterns. Ceramic tiles are found in different colors and textures, they can be glassy in appearance making your designs all the more beautiful, and of course, they are easy to install and to maintain. You do not need a professional to set this kind of tile for you. Be confident, you can do this on your own, and it won’t take too much time. Thanks for this great information! I want to remodel my bathroom, and I would love some new tile in there. 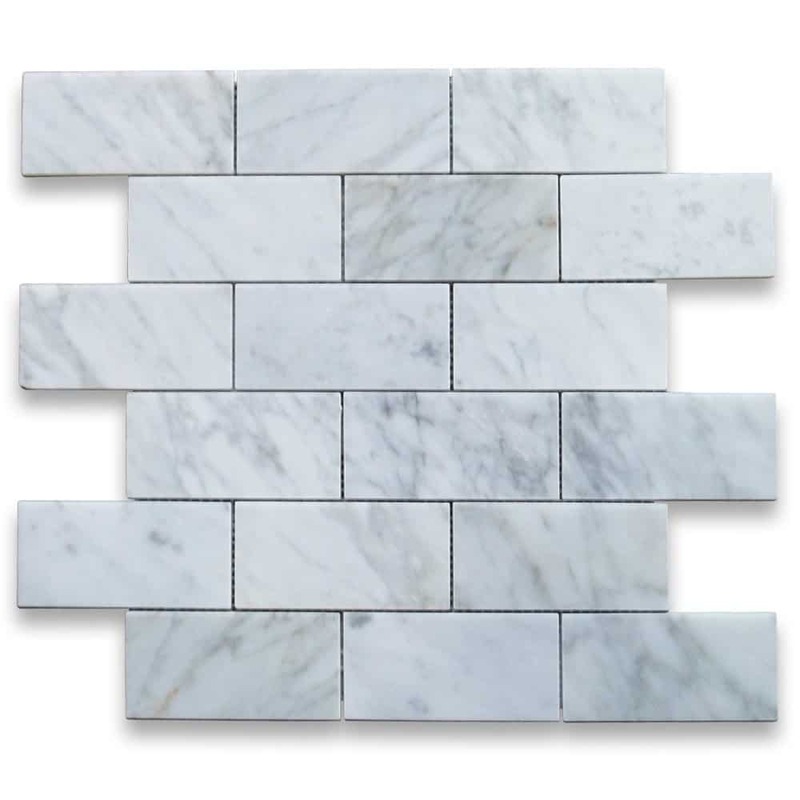 I love the look of subway tiles, and think they would be great on the walls. Also, thank you for the tips on cleaning the tiles. I’m sure those will come in handy! Thanks, Subway tiles always look great! Good luck. Hi Blake Lockwood your article is looking great!